1. 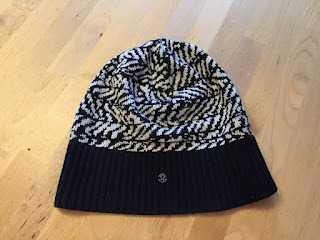 My first Friday Favorite is that I found my missing Lululemon toque. I bought this last fall and wore it religiously until I thought I lost it. I last remembered wearing it to the last indoor bootcamp class at the end of April because it was a little chilly before class. I had assumed I had left it in the room and it was turned into lost and found and that was the end of that. I never did go check the lost and found because by the time I realized it was missing it was in august or something and I assumed it had been donated or whatever it is they do with that stuff. No idea why I was looking for a toque in august but I was. I don't use my gym bag for outdoor bootcamp since I wear my shoes there and my car is right there so it is just easy i guess, but on Monday (the 2nd) I grabbed it because it was cold and snowy out and I knew I would need a bunch of different options to keep warm enough or whatever during class and when I opened up my bag and there it was. I was so excited that I found it and grateful that it snowed before they released new toques and bought another one!!! 2. I spotted this basket on pinterest ages ago and have been searching for months for something similar. While metal baskets like this have been plentiful at winners, homesense and many other stores, nothing had the shape I was looking for. I wanted the basket for blankets in my living room and settled for a basket that is perfectly nice but not what I wanted long term. So I was super pumped about finding this at homesense last Friday while looking for a lamp for our living room - which i still have not found. When I was paying for it the cashier said she had sold 3 of them yesterday and then mine and there was one left so clearly i am not the only one after this amazing basket. 3. I only have 2 pairs of long tights for running that I purchased at lululemon 2 or 3 years ago. I love them very much and like wearing them but I desperately needed another pair or two so I wasn't wearing smelly sweaty pants more then once or forced to do laundry more regularly that I like. I had gotten a pair of lululemon tights last year for christmas from greg but they weren't the right material so I returned them and left with something not tights because they didn't have what I wanted. I still haven't found any tights that I love as much as the 2 pairs I already have - until early last week. 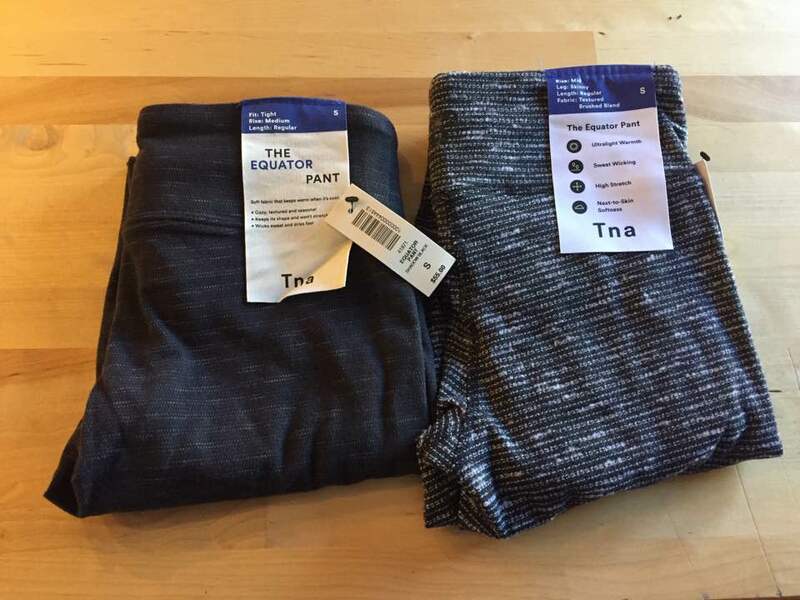 A girl in a lululemon chat group that I belong to and posted some tights she had found at Aritzia that were of the coco pique and old pique patterns that lululemon had sold once upon a time. I decided to head to the mall and check them out for myself and I am sure glad I did. I had intended to buy only the coco pique ones (right) but ended up loving both pairs so I bought both. The great thing is that they were only $55 each so both pairs were the same cost or even less then one pair at Lululemon. They are super soft, sweat wicking and ultralight warmth. These are going to be great winter running pants and perfect for winter hikes and snow shoeing and easy to layer over top of. I am so happy with these tights. Even you don't run or do winter activity, you should add these to your winter wardrobe for the sake of comfiness that looks pretty. 4. 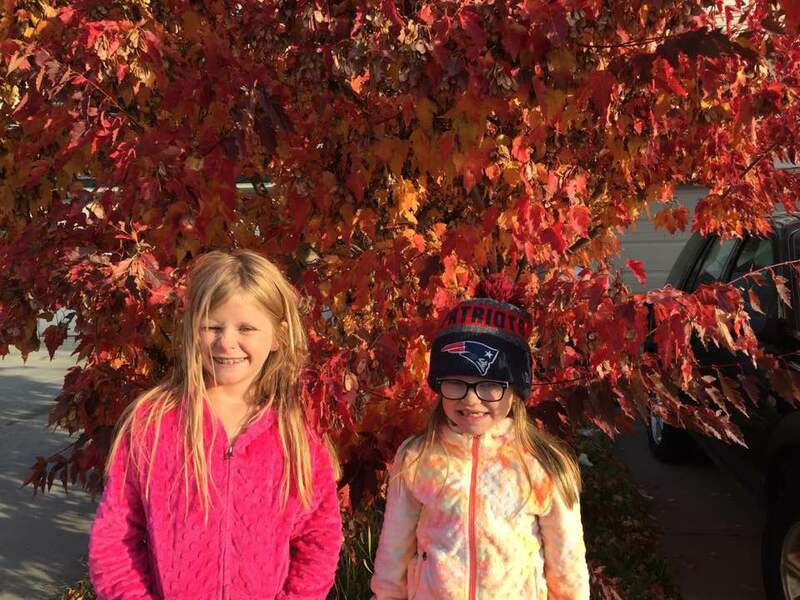 Fall colors. I love all the bright orange and reds and yellows and purples that are on display as you walk or drive your way around the city. We don't have a lot of trees in our community that reflect this but I was driving through midnapore last week and it was stunning. 5. 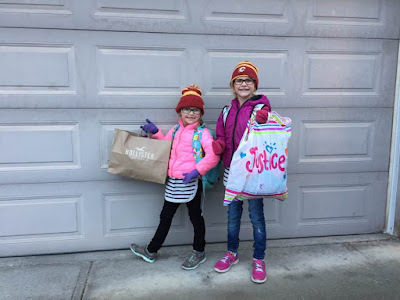 Last week, we went through all of our old winter gear to see what no longer fit the girls and some items that Greg and I no longer wanted and then the girls brought them to school for their winter gear drive. Every year we donate our old stuff to families in need. I don't know that the girls know how lucky and privileged they are so I like to do these things with them and explain why we do it. 6. This kid is super obsessed with being the cool kid. 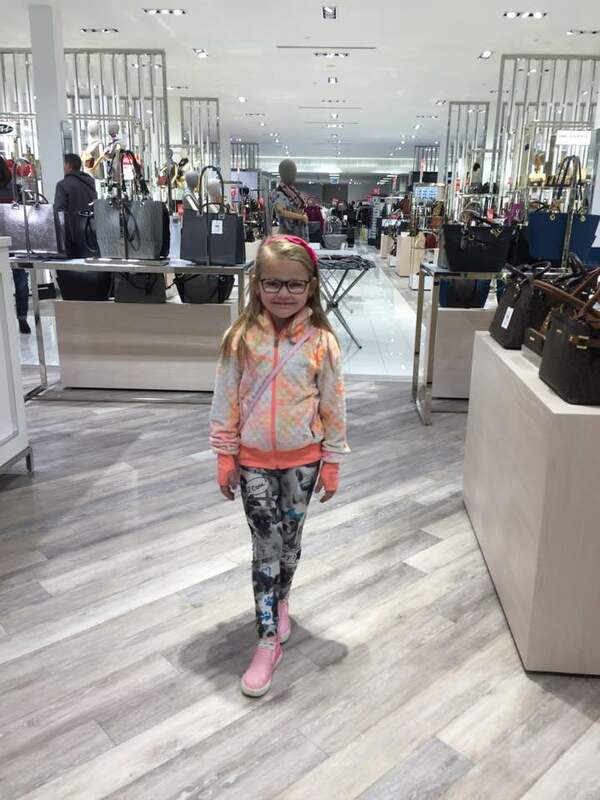 She thought her fancy shoes and purse made her a cool kid. 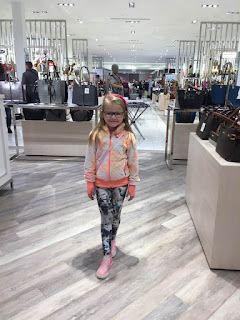 I just love this photo so much but I keep telling her that no matter what she wears or does, she can always be as cool as she wants. Finley decided that cool kids tie their sweaters around their waist so now that is what she does haha. 6. Last weekend, Greg finally bought a "new" him to car after looking what felt like forever. 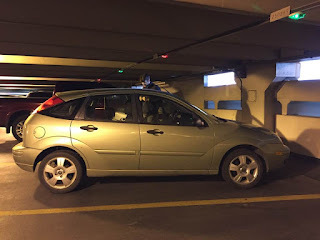 His last car died in early June and while we didn't need a second vehicle during the summer, with indoor soccer starting soon with 2 kids on 2 different teams, we had to get one soon! 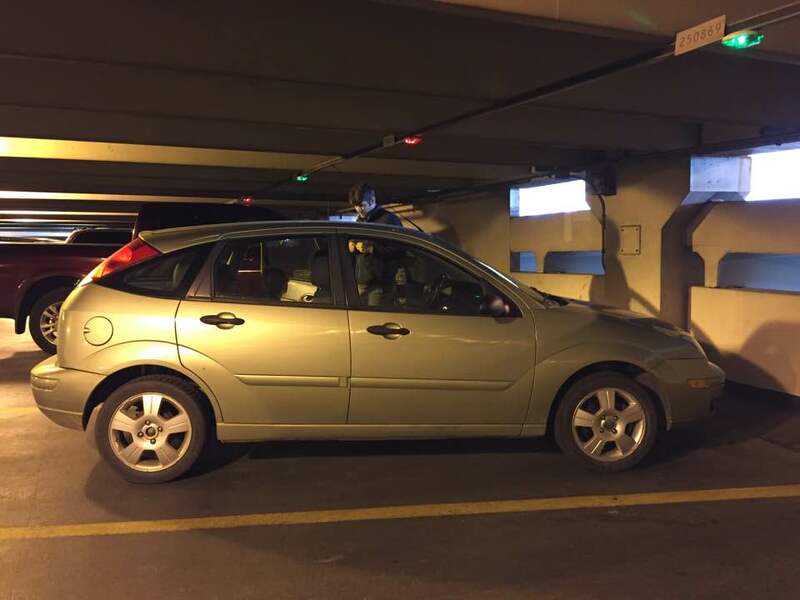 It's a cute little ford focus hatchback but not the nicest of colors. Greg loves and it is in great shape so that makes us all happy. Hopefully this car lasts longer then his last one! 7. The first 400 registrants of the 2018 Calgary Marathon got to pick a buff, a beer stein or a hat. I really wanted another buff so I registered as soon as I got the email that registration was open. 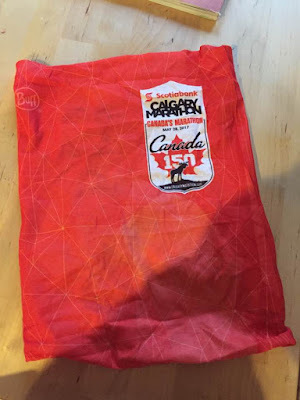 I had boughten myself a buff last winter and then in April, I won another buff from the Calgary Marathon during a Instagram contest that they ran. Ironically enough, it was the same one I had bought myself a few months earlier. It looks like we both have great taste. I wanted a third one because the girls really like the buff's and so when I saw this promotion it was a no brainer to register early and grab the buff that way we all had one. 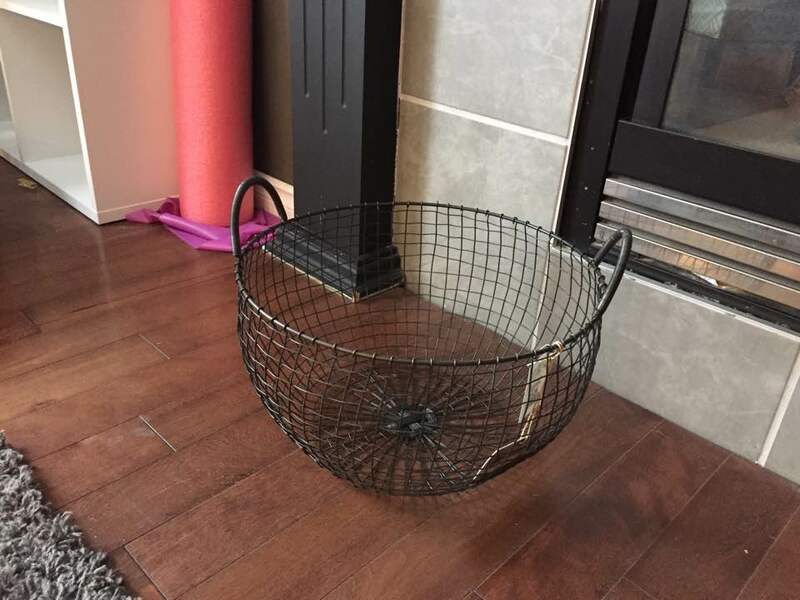 I have been eyeing up metal baskets too and kinda sorta found one. I like that round shape of yours! Have a great weekend! Thanks for the tip on the tights (I call them leggings!). I am going to check them out!